The latest blockbuster movie ‘Justice League’ is here, and to celebrate, Betfair are running a promotional offer on qualifying games totalling £300k in prizes. The offer runs for four weeks until December 7 and is open only to players aged over 18 who are fully registered with Betfair Casino. 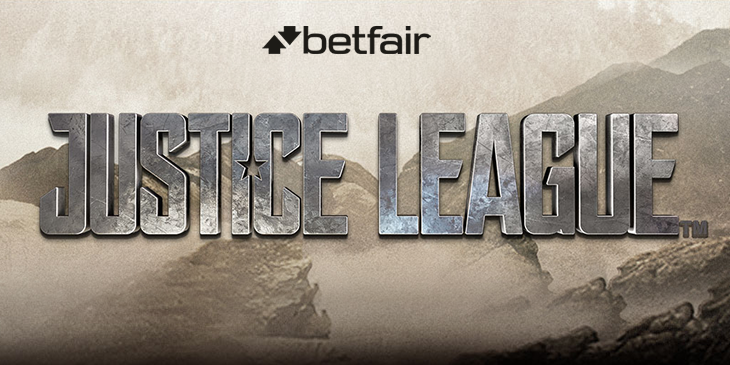 Double entry for ‘Justice League’ players – Players of ‘Justice League’ on the Betfair website will benefit from the greatest advantage as all ‘Justice League’ players will receive two entries to each week’s prize draw for every £10 staked. The prize fund totals a generous £300,000, with between £50,000 and £100,000 on offer each week. Multiple prizes are offered in each draw, including up to 5,000 prizes of £10 and a top prize or prizes of £5,000. Winners will be selected by random draw with results checked by PromoVeritas Ltd, the independent promotional verification service and contacted by email. Winners must reply within 14 days to confirm eligibility and to accept the prize. Payment will be made to the winners account within five working days of the draw taking place.